The world of horse racing is brought to life by Larry Scanlan, following the career of Secretariat and looking at the relationship between the horse and his beloved groom. Scanlan introduces young readers to the hierarchy of the track, from the hot walker to the owner to Secretariat, the fastest horse of the twentieth century. Secretariat was good - and he knew it. He didn't tolerate fools, and his groom knew just how to handle him, with lots of love and a firm hand. Eddie Sweat loved that horse, knew every muscle in his body, knew how to calm him down, and knew when to hold firm. He drove him to races and flew with him to his ultimate home, the stud farm. 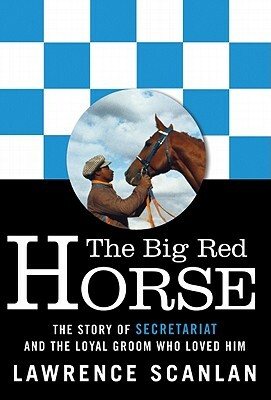 Following Secretariat from the time he was born to the time he died, Scanlan presents a fascinating and engaging look at the partnership of Secretariat and Eddie Sweat - and at the racing world in general, complete with fun trivia facts about Secretariat.